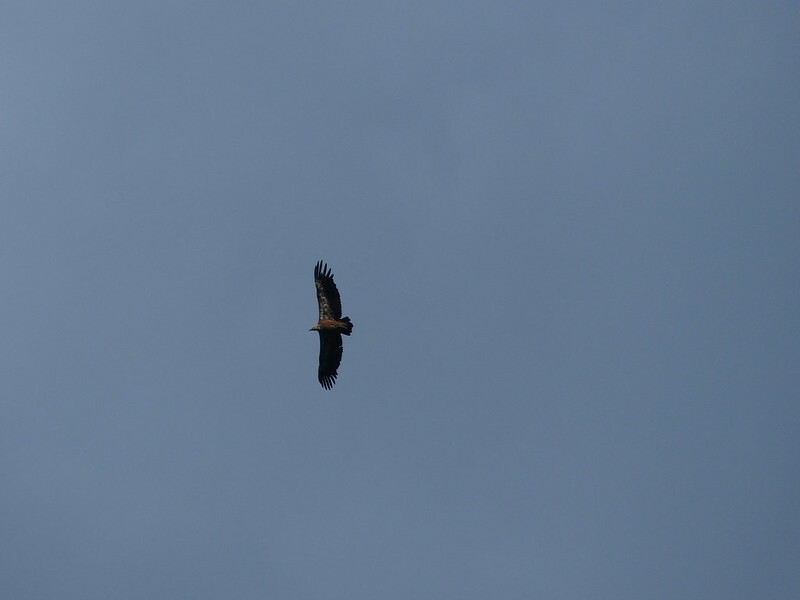 The Cevenne is noted for it’s raptors, perhaps particularly Griffon Vultures, which were successfully reintroduced, starting in the nearby Jonta Gorge. 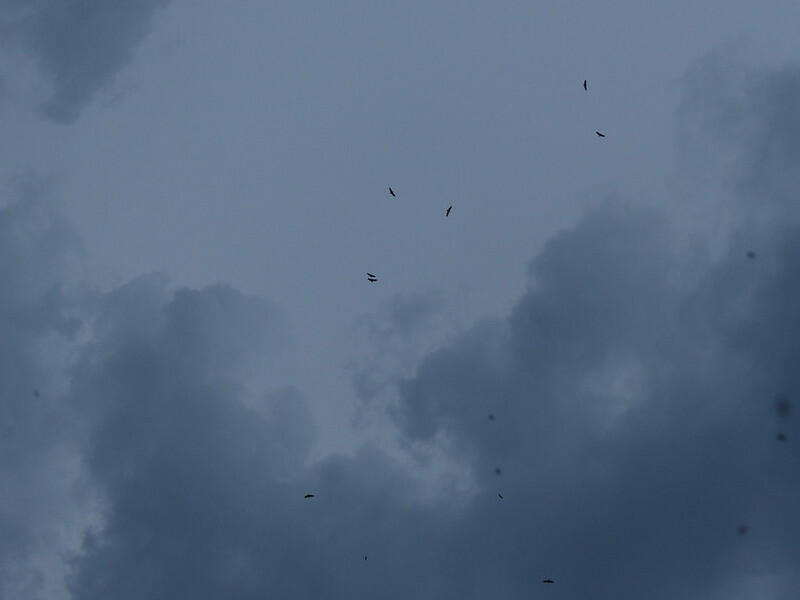 In the late afternoons there could be large numbers of birds circling on thermals overhead. I spent a lot of time watching them, counting them, trying to work out where they had landed, high on the valley sides, and, rather fruitlessly, photographing them. Although they are large birds, with a wingspan typically of around 2.8m, they were just too high overhead for the photographs to work well. Still, it kept me busy (and I do have some slightly better photos from some of our outings). Of course, they may not all have been Griffon Vultures (although I suspect that the ones in these photographs are) since several other species of vulture have also been reintroduced and eagles and other birds of prey also frequent the area. ← The Kleiner Schillerfalter and Other Beautiful Bugs. Sounds good! Book it Danno! Lovely stuff. 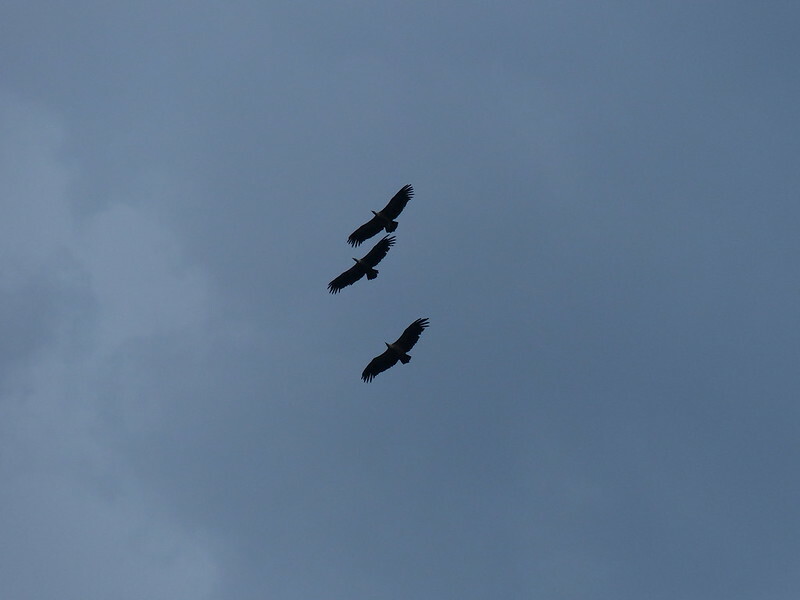 Love vultures. One small regret I have is that when visiting great areas in the past during my most adventurous decades, (1980s and 1990s) backpacking and climbing mountains abroad, instead of wandering much nearer home as I do now, I never had the pocket sized digital cameras with excellent zooms you can buy these days.. Most of my photos from that period are rubbish compared to nowadays and even the most spectacular landscapes or animals back then are mere fuzzy dots, even standing 30 feet away from the subject. I was lucky enough to have an SLR (a birthday present from my generous parents), but the cost of developing deterred me from taking the multiple shots I would do now in an attempt to get at least one which is focused. I have some shots of flowers from the Pyrenees and Ibex (I think) from the Alps, but generally not much in the way of wildlife photos. Besides which, they’re all stuck in cardboard boxes somewhere, since I didn’t have the Blog to ‘store’ my photos in a handy, locatable spot. They must have been wonderful to watch. They had me mesmerised, but birds will do that to me. Vultures. Did they have Scouse accents?